Every April 22nd, over a billion people in 190 countries take action for Earth Day, according to earthday.org. 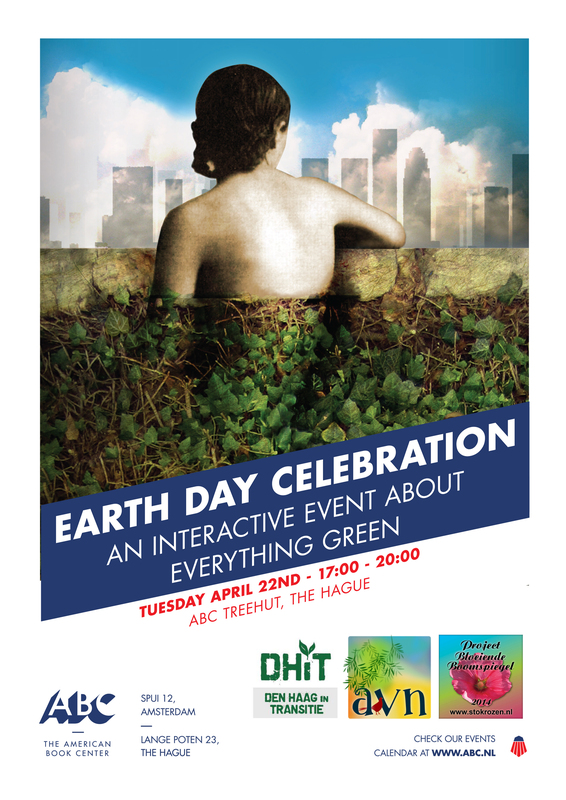 The Hague will also house a special Earth Day celebration this Tuesday, April 22nd, 2014, from 17:00-20:00 in a Treehut–in this case, The American Book Store’s ABC Treehut, located at Lange Poten 23 just off Het Plein. The Hague Earth Day Celebration is a fun, interactive event where you can find out about green initiatives and projects in The Hague, be exposed to a plethora of books on the environment, attend a book signing, eat fresh, organic food and meet eco-minded people. In attendance will be representatives from the Algemene Vereniging voor Natuurbescherming (AVN), The Seafirst Foundation, Den Haag in Transitie, Project Bloeiende Boomspiegel, Haags Milieucentrum, among other local environmental groups and authors. I know there were a lot of Dutch words in that last sentence, but the event will be bilingual, thus you can count on plenty of English conversations as well. Earth Day is a call to action, gathering people together to embrace a sustainable way of life. In The Hague, that call to action can be planting a seed in the soil with The Hague’s own Project Bloeiende Boomspiegel, or a seed in your mind by reading a book with an environmental focus; volunteering for a local beach clean up with the Seafirst Foundation, brainstorming with local politicians and community leaders, or committing to a Seven Change Challenge that will be presented at the event. Politicians and government representatives will be invited in the spirit of an eco-minded dialogue with community leaders. Organic food and drink will be for sale by local restaurant Fine Fresh Food, and a number of books that focus on the environment will be showcased by the American Bookstore this day, ranging from non-fiction titles like The Big Thirst, by Charles Fishman, Good Green Guides The Hague, by Harold Verhagen and eco-romance novel Green by Hague-based author Kristin Anderson, who will be signing her novel at the event. Rather than doing a traditional reading from her book Green, author Kristin Anderson, who co-organized the event with the American Book Center, has taken a rather creative, Tom Sawyeresque approach. Remember that fence that Mark Twain’s Tom Sawyer needed to paint white? Why paint the fence yourself? Better to creatively get all of your friends to do it for you! And this time, the fence is GREEN. In other words, each environmental organization in attendance has been asked to read a small passage from Anderson’s eco-novel Green that relates to their organization before launching into their own five-minute presentation on what their organization does in our community. 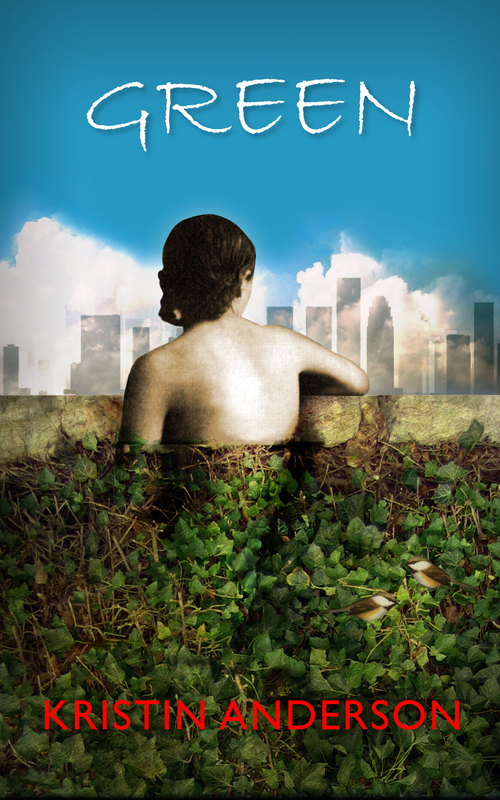 If you would like to celebrate Earth Day with other earth-loving people, please join in! If you represent an environmental organization in The Hague, please stop by and meet and greet! For more information, and event updates please contact author Kristin Anderson on Facebook. If you are new to the concept of Earth Day, this summary on National Geographic explains how it came into existence 44 years ago and why it is so important. Reblogged this on antoon test site.